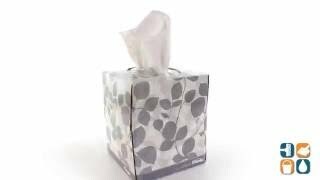 Kleenex is America’s #1 brand of facial tissue, offering a soft, gentle touch. These white, 2-ply tissues come packaged in a beautifully printed pop-up boutique box with the trademark signal feature where colored tissues indicate when the box is about to run out. 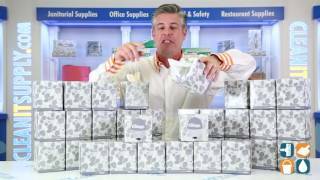 Each box contains 95 tissues. Includes 36 boxes.